Irish firm Airtricity has won a contract to build a new British offshore windfarm. It's the first of its kind, in that it is to be constructed 16 miles off the Suffolk coast, placing it outside of British waters in the open sea. Airtricity's long-term goal is to make the European Union self-sufficient in energy production. Eddie O'Connor, chief executive at Airtricity, told journalists that it would take his company two years to build the new farm, which will cover an area of 150 square kilometres. It's going to cost a fairly hefty £1.2 billion to construct; work will start in 2009 with the aim of finishing by 2011. 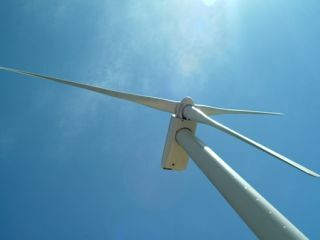 The windfarm will supply enough energy to power 415,000 homes - enough for all the people in Suffolk with some to spare. O'Connor believes that ultimately Europe 's entire energy supply could come from wind power. He said that wind is not just the "North Sea oil and gas of the 21st century but it's Saudi Arabia too". He also mentioned that he thinks Britain should team up with the Germans to combine their wind technology which would enable windfarms to provide infinite access to the "treasure trove of energy".